Saffron Tree: ADIEU CROCUS 2011! And thus our fifth birthday celebrations and the third edition of our in-house book fest, CROCUS 2011 - embracing the five elements draws to a close.In fact, the elements were one of the themes in the running since mid year or so. It also tied in beautifully with Saffron Tree's fifth birthday. Praba and Ranjani set the tone by allocation ( and shuffling) of elements among us motley bunch of fifteen contributors. Lavanya Karthik came up with a mind blowing flyer yet again. And in case you didn’t know, her book, Tara Tambe, with DC-Mango is out- go get it if you want a treat for your eyes. Sheela, ever resourceful and vigilant continued to provide technical and design assistance to all. The scheduling, was handled with deceptive ease by Ranjani, Sheela and Praba. Must say this time they did not have to play teacher too much since the wards were fairly prompt- at least most of us! Each day was dedicated to one element. Overall, we tried to bring you stories from different countries and genres of story telling. We ensured representation of books for kids across age bands. The books spoke the language of respect, conservation and oneness with nature. We brought you 4-5 reviews and 1-2 interviews per day spread over 7 days. Vibha, Anusha and Lavanya exhibited their inimitable skill with art and craft related to the day's element, taking this CROCUS to another level. Apart from the element oriented art- crafts’ posts, UTBT brought us some creative curriculum related pointers, something those familiar with her personal blog will swear by. We also have linked up to old posts that relate to the elements. The Mad Momma, Sandhya and Tharini outdid each other with their teaser, curtain raiser and introduction posts. Then came the unveiling of the much awaited CROCUSWORD by Meera! Wow, how creative can a person get? This time with rebus clues! We welcomed our readers with water, as is customary in any Indian home. We had a splash of beautiful tales. We were then sparked on by Fire, right on the eve of Diwali, the festival of lights. This element ignited us with imaginative tales from Africa to India. Then the wind blew and we enjoyed the breeze of reviews. Intrigued and awestruck by space and we traveled to explore the most abstract of the elements. Finally grounded by reassuring Mother Earth, we celebrated her beauty and prayed for her longevity. We had a smorgasbord of interviews from people working in some way in the sphere of the Elements and some who are illustrious educators/ performers, one of whom coincidentally shares her name with an Element.The interview team was spearheaded by Anusha. We sincerely thank Nirmala Diaz, Sloka The Hyderabad Waldorf School, Patricia Graesser of the Army Corps of Engineers, Shanti Pappu, Julia Butterfly Hill, Vayu Naidu, Sarah Dyer, Gerry Martin, Suzanne- Pratham Books, Rick & Langley from Seattle Sailing club who were generous with their time and views. As always, CROCUSWORD generated a lot of excitement. Thank you, participants. And winners, congrats! 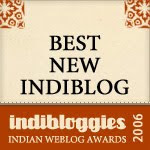 We had a network of publishers and bloggers support us, such as Pratham, Tulika, Papertigers, Zoe, Monika, Shankari, Uma, Arundathi and of course our own blogs. Thanks to the PR team for this. ( The Mad Momma, Sandhya, Chox, Poppins Mom, Self). Did I forget someone? YOU, dear reader, continue to be the star. We were overwhelmed by the comments and emails we received. It feels good to know someone cares. We really hope that you found us in our element this CROCUS! And as you know, we will be back and soon. So make sure you drop by at least once a week for reviews- old and new at Saffron Tree. And leave us a comment or two when time permits. ONCE AGAIN, THANK YOU FOR SUPPORTING US! AND KEEP READING. CIAO CROCUS 2011! That was neatly summed-up in a very ARTNAVY-ish style! What a treat to revisit all the delightful things we did the last one week!! Cheers to all the team members for their outstanding effort, our wonderful readers for supporting us here and on very our FB page Saffrontree! Thank you all! Please keep visiting! Thanks P and Happy Birthday to ST!! Hope to see it in the news as well. I loved the whole series. Learned about a lot of books that we didn't have and were thrilled to see those that we did. Neat wrap up Art ! Succint and classy! Helped savor every bit - well-done Art! Classic Art style. Good sum up Art. What? Its over already! Let me read all the posts leisurely! The last one week was crazy what with Diwali, Halloween and umpteen other things. I feel bad for not catching up with all the posts. Will remedy it soon! As always, great job guys! Keep it going! Happy Birthday, ST! And great reviews from Art and everyone else. Really interesting to see how the theme panned out. See, I'm still savouring it all. Strrrreeeetching it out! Lovely summing up, Art. Loved the way you wrote about the five elements and the order in which they were presented.